One of my favorite and very first posts (anyone with me that long?) was the first time I wrote about Jeff Buckley, told the story of "our relationship" if you will, and posted up songs inspired by his life, his art, and his untimely death. (pretty sure that chill-inducing photo above is Jeff in front of the Wolf River, taken by Merri Cyr). Since so many of you have been asking, I've revisited that post and re-upped all the links to the Jeff tribute songs. 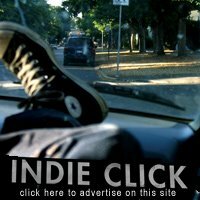 I've added a bunch of tracks to the original post from 2005, and this one had a special story to go along with it . . . This is a song I wrote when Jeff Buckley died...I hadn't known Jeff extremely well, but we kept bumping into each other here and there. One night we met for a drink at a pub in NYC, and started writing messages to each other on a paper placemat that was there, instead of talking, because the music in the bar was really loud or something. An interesting effect of that was that we found ourselves writing things that we would never would dare to say to each other out loud. I remember thinking that he seemed to be sort of lost and sad although he outwardly was very funny and lively and confident, and wrote something about that, among another things. I didn't talk to him for a long time after that -- I went to England to live for a while and we talked once or twice and then nothing for over a year. Then one night I got a voice mail message from him that said, "I just realized what you were trying to tell me that night". I tried to call him back but the number I had for him was old, and then I got his new number but I was out of town again and it was difficult to call, and then I heard that he was missing, and presumed dead. . . Yes, it's depressing. But I love that image of two people sitting in a loud bar, scribbling their most honest thoughts on a placemat instead of talking. I suppose the modern equivalent would be text messaging across a crowded room. I like that idea, it's like talking in secret code and no one around you knows. Something about the medium makes it easier to be honest and say what you are truly thinking. This song is just a wisp, under 2 minutes, heartfelt and regretful. true story. around 1994 or 1995, i went to a jeff buckley show with a date. we stood right in front of the stage and he flirted and talked to my date the whole show. after the show they chatted with me standing right next to them for about 10 awkward minutes. so, i sorta didnt like him for awhile. then he died and i felt awful. i love him. 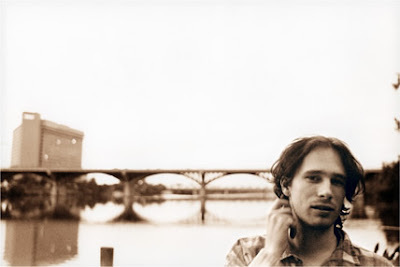 Thank you so much for all these wonderful Jeff Buckley posts. He was an amazing artist, and he continues to be missed. heather, i've been lurking here for a couple months but your buckley posts finally prompt me to say thanks very much for keeping up this blog. there's so much crap and dross on the airwaves, but for me you and Buddyhead are keeping it realz. Thanks for sharing that story. You never can know the truth, and you get closer by sharing your story. Not sure if knowing the story behind the song made feel anything different about Jeff, the song(which, I have loved since it was released) or the amazing Aimee Mann in general. I may be the minority here, but I’d rather focus on Aimee Mann’s music and future, than Jeff’s untimely passing. ten years after... we always love his music..
thanks for this remember, your blog is si nice. What a great post Heather. Thank you for sharing that. Thank you so much for sharing these songs again. What I love most about your blog is the Jeff posts. He truly is missed and these songs reflect that. Thank you! This is beautiful. What a great story, thank you for sharing it. The picture of Jeff with the Wolf River behind him was chilling beyond words.